I am of the boring opinion that the 1966 animated holiday classic “How the Grinch Stole Christmas!” is a work of genius and the 2000 live-action take on the same story is an ugly, mean-spirited abomination. Is it any surprise that the new animated film “Dr. Seuss’ The Grinch” falls somewhere in between? I suppose it might be a mild surprise that it’s not as bad as the 2000 version, given the painful, obnoxious ad campaign for the film (The Grinch threw a sarcastic compliment at “The Emoji Movie,” ha… ha?). 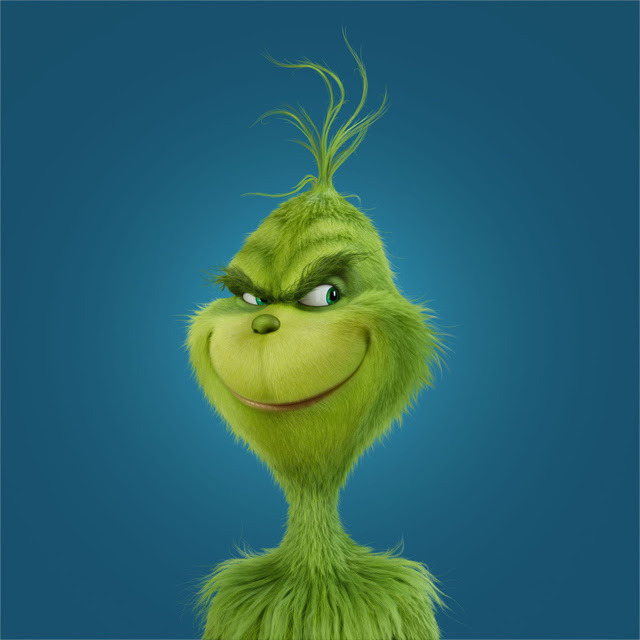 But Illumination Animation films are rarely as bad as their Minion-filled ad campaigns, and this film itself doesn’t do much to tarnish The Grinch’s legacy. And the little tarnishing it does do, it makes up for with a few welcome additions. The plot is well-known, but here it is real quick: The Grinch (Benedict Cumberbatch) is a hideous green creature who lives on a mountain high above the joyous town of Whoville. Every year he’s annoyed by the way the town celebrates Christmas, from the noisy gifts to the disgusting feast to the sing-a-long in the center of town. One year he decides that he simply can’t take another Christmas, so he hatches a plan to disguise himself as Santa and break into all the Whos’ houses and steal their gifts, decorations, and food. But eventually he learns that stealing all these things is not the same as stealing Christmas, as the Whos teach him that Christmas is about more than just things. That’s enough plot for a half-hour TV special, but not enough for an 86-minute movie, so a few new elements are added. The Grinch makes a grocery run to Whoville, where he can be freaked out by pre-holiday celebrating up close and personal. He has a neighbor on the edge of town (Kenan Thompson) who wants to be friends even before the Christmas caper. And little Cindy-Lou Who (Cameron Seely) has a plan to trap Santa Claus so she can ask him in person to give her overworked single mother (Rashida Jones) a break. Of the new stuff, the Thompson character is probably my favorite. True, he’s not developed much beyond insufferable positivity, but all is forgiven because Thompson has about the jolliest voice in the whole wide world. Then again, some of the movie does feel padded. The movie feels compelled to give us a glimpse of The Grinch’s childhood, where he grew up alone in an orphanage, but even in this silly world, orphanages have some kind of adult supervision, don’t they? “Grinch” lore specifies that he is accompanied only by his faithful dog Max (adorable and funny in every version), but here he tries to rope in an out-of-shape reindeer whose presence is unnecessary. Speaking of out-of-shape and unnecessary, there are a number of lowbrow jokes about The Grinch’s physique (he looks bad in yoga pants!) that I could have done without. Ultimately, though, the things the movie does right more than balance out the things it does wrong. The film’s animation allows for a naturally Seussian look that doesn’t come off as a distorted version of what people and buildings are supposed to look like (looking at you, 2000 version). Even better is that all the Whos are on the same page as to what truly matters when it comes to Christmas. There’s disappointment over the missing presents, sure, but as long as The Grinch isn’t stealing their loved ones, he can never really steal Christmas. True, the 1966 version will always be the definitive version of this story (unless you prefer the true original, by which I mean the book), but “Dr. Seuss’ The Grinch” comes respectfully close to matching its spirit, and for that I recommend it. “Dr. Seuss’ The Grinch” is rated PG for brief rude humor. Its running time is 86 minutes.